Made by Jim Rugg for the Epic Encounters show at the Telegraph Gallery in Charlottesville, VA, when I saw this image pop up in my feed, my eyes popped out like some sort of Tex Avery Wolf Man. Not only is she a stunner, but she’s also a Dragon Killer, if you believe the name of this print. This show also features one of my favorite artists, Jake Lawrence! Speaking of great art, check out Henry the Worst. I’m not sure how I first came to follow his blog, but I remember watching an episode of Lucas Bros. Moving Co. and spotting some art that looked really familiar. A quick searched informed me that Henry the Worst was doing art for ADHD. Sweet. Oh man. 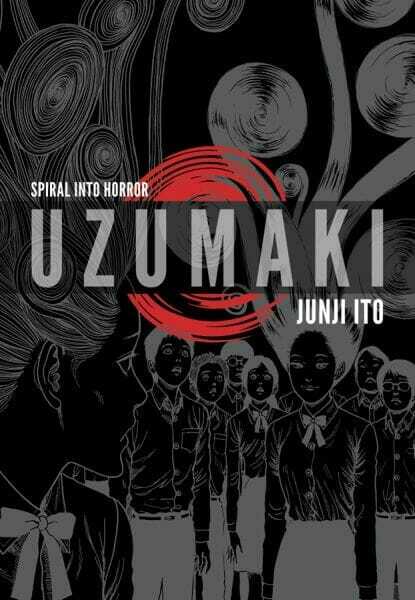 So as part of Free Comic Book Day a while back, I got a teaser for Uzumaki: Spiral Into Horror by Junji Ito. It was definitely a unique story, and I was pleased when I saw the deluxe edition on the shelf at Floating World. I’m glad I decided to pick it up – the FCBD edition was barely the tip of the iceberg. The art is beautiful, the story is compelling and unique, and it moves at a clip that makes it hard to put the book down. You guys, have you seen It Will All Hurt by Farel Dalrymple? If the answer is no, you should probably head to Linework NW this Saturday to grab a copy from him (or stop by your local comic stop at your earliest convenience). And once you’ve read it, you will think, “I need more of this!” Well, guess what? YOU CAN MAKE THAT HAPPEN! All you gotta do is donate to this kickstarter. Your donation can get you a host of cool swag, and provide people like you and me with the indie graphic novels we wanna see. Perhaps it’s because I grew up in this town, and know the “outdoor commercial plaza that houses the coffee shop” all too well. Either way, this article from The Onion hits the nail on the head when it comes to crappy interviews. I hope it gives you a giggle.